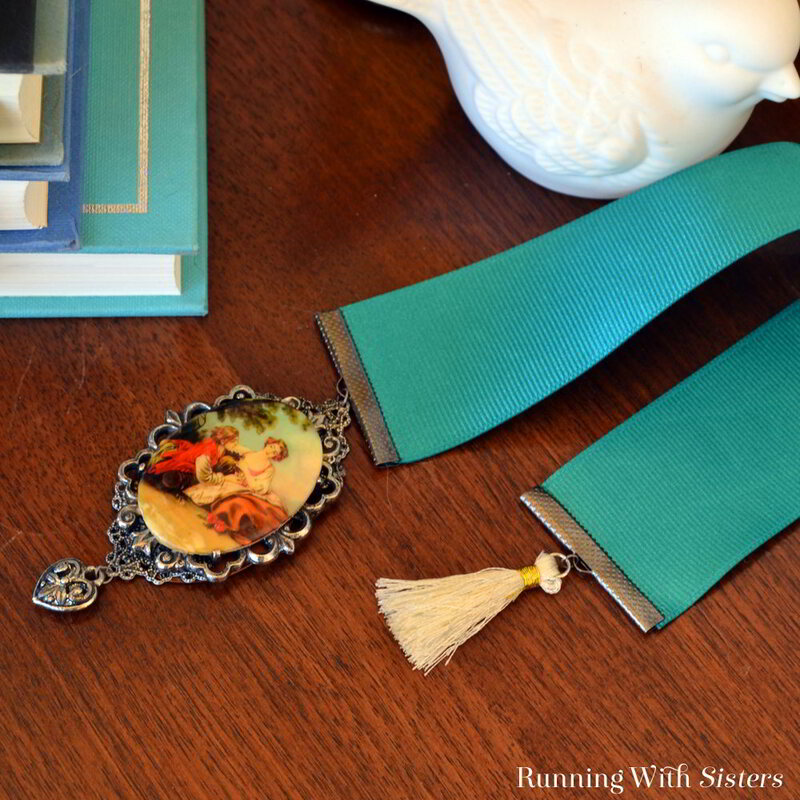 We love old Victorian crafts so when we ran across vintage silk bookmarks embellished with charms and cameos at an antique store, we couldn’t resist making our own! 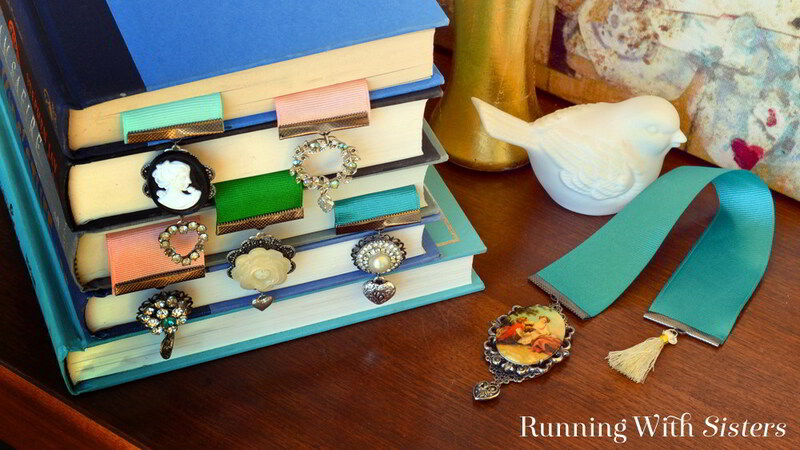 We raided our stash of rhinestone brooches and earrings and made some really pretty rhinestone brooch bookmarks. We’ll show you how we did it. 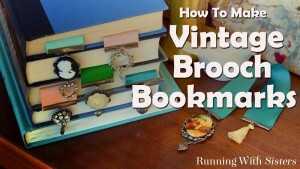 We made a video tutorial for these rhinestone brooch bookmarks. If you want to see it, it is on Kenarry.com where we are members of the Creative Team. Here’s a link to that post with the video. 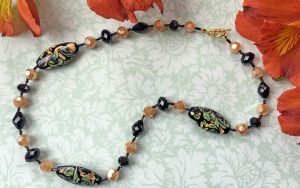 The whole Kenarry site is loaded with terrific craft projects and DIY how-tos. We highly recommend it! 1. 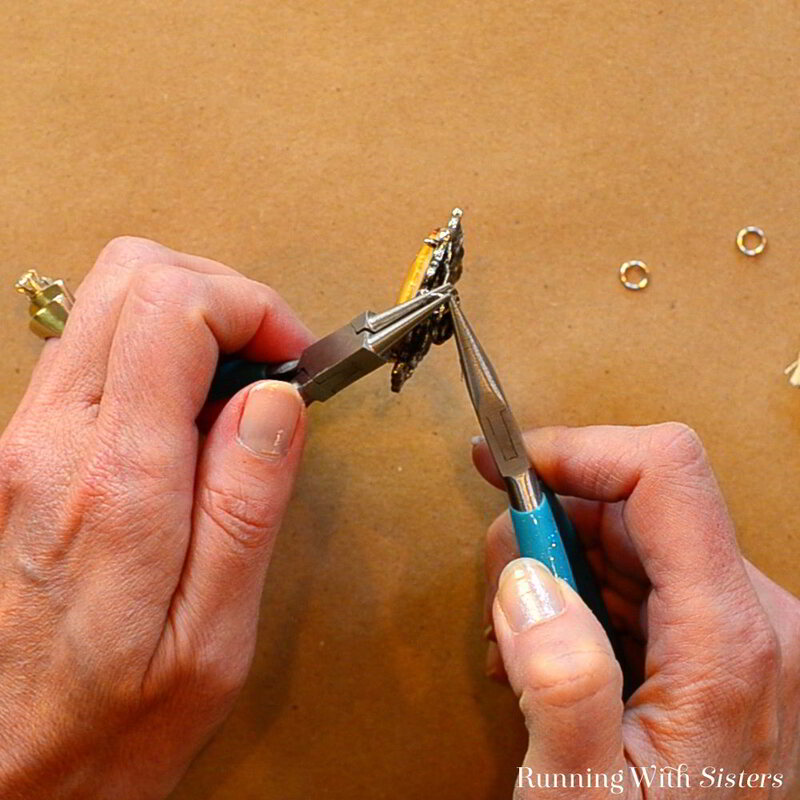 Remove the backing from the brooch, shank button, or earring using the wire cutters. (Protect your eyes by holding onto the pieces you are cutting.) You may need to make several cuts to get the backings off. 2. 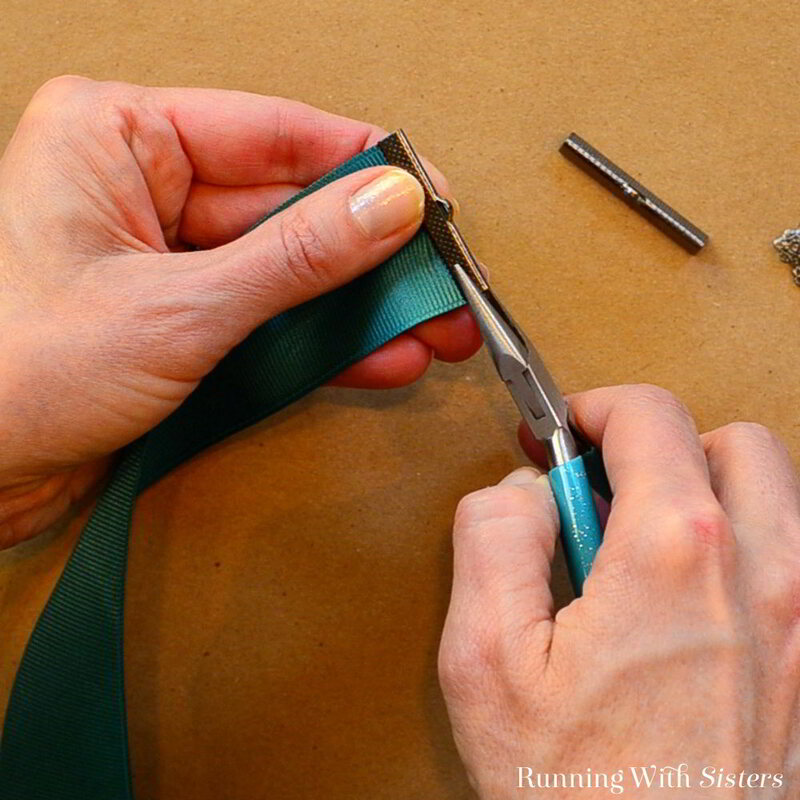 Attach a crimp end to each end of the ribbon by squeezing a line of fabric glue on the ribbon end, flipping it over and adding glue to the other side. Slide the crimp end over the glue. Press the crimp end closed with chain-nosed pliers. Repeat for the other end of the bookmark. 3. 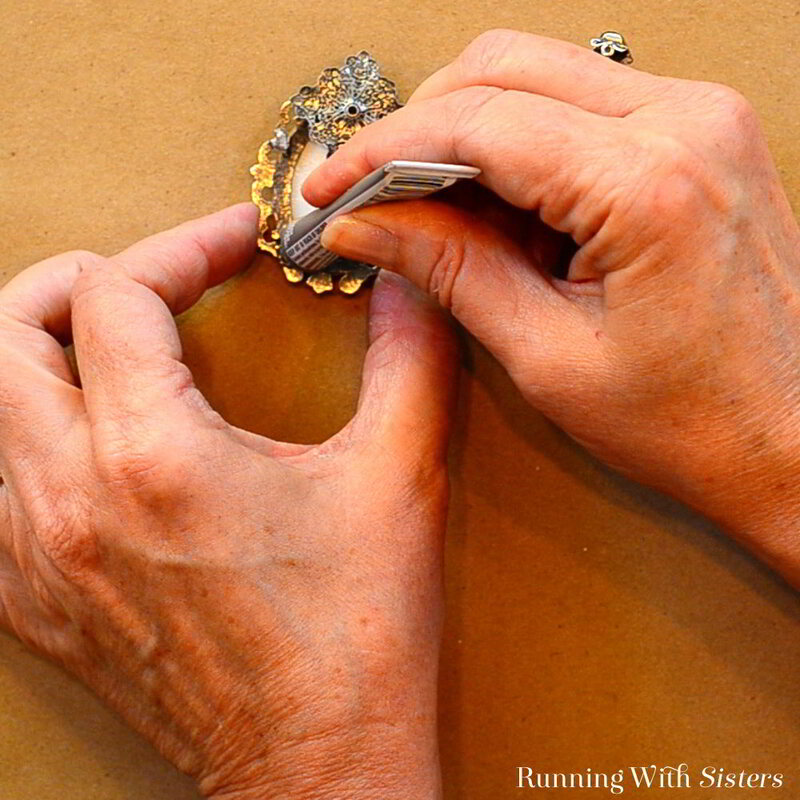 If your brooch has loops on the edges (like a frilly frame) skip this step. 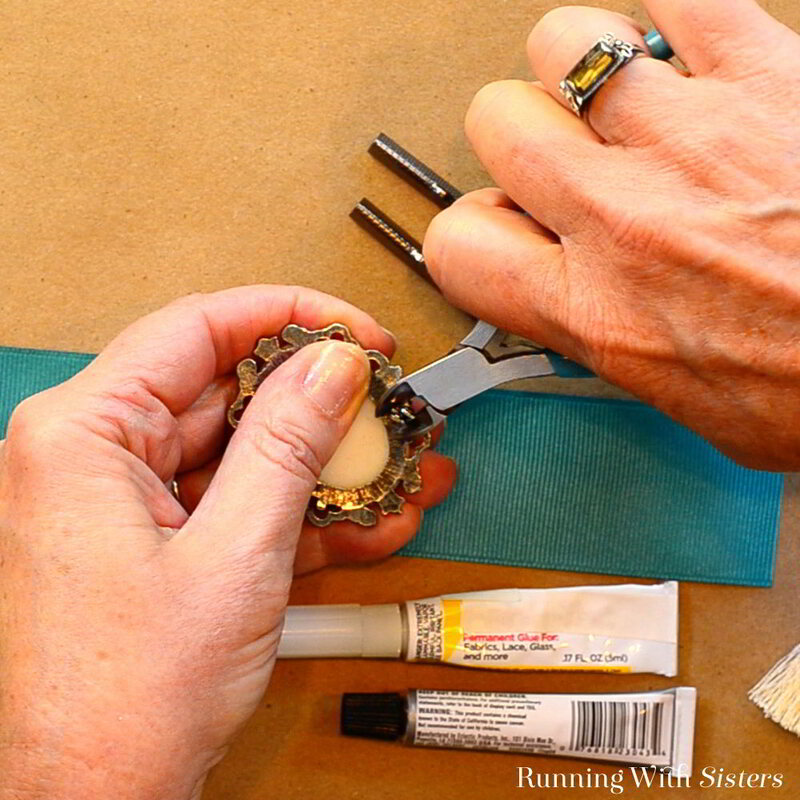 If there’s no way to attach a jump ring, glue the brooch to a round filigree with the all-purpose industrial glue. 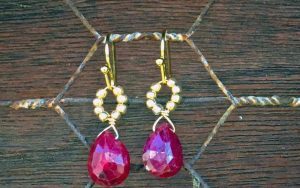 Choose a filigree that creates a frame around your brooch, or use two if you need to, so you can use attach jump rings to the brooch. 4. Next, open one of the jump rings. We like to use two sets of pliers for this, holding each side of the jump ring and sliding the jump ring open like opening a door. 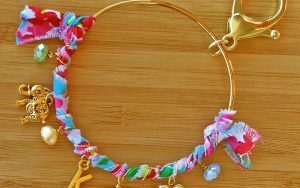 Hook a charm onto the open jump ring. Hook the jump ring to the bottom of the rhinestone brooch. Press the jump ring closed. 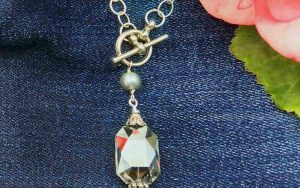 Open a second jump ring and hook it to the top of the rhinestone brooch. Then hook the open jump ring to the opening on the crimp end. 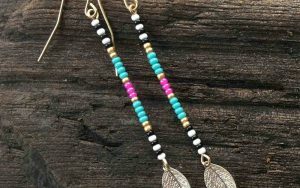 Repeat to attach a tassel to the bookmark on the other end. We’ve made these rhinestone brooch bookmarks with girlfriends at a craft night. It was so fun! Everyone brought rhinestone buttons and brooches and earrings and we all shared the supplies. Let us know if you have any questions about how we made them. We would love to help in any way we can! And if you want to see the video, just go to our Creative Team post at Kenarry.com. It’s a great site. You’ll love it! We love getting pinned! 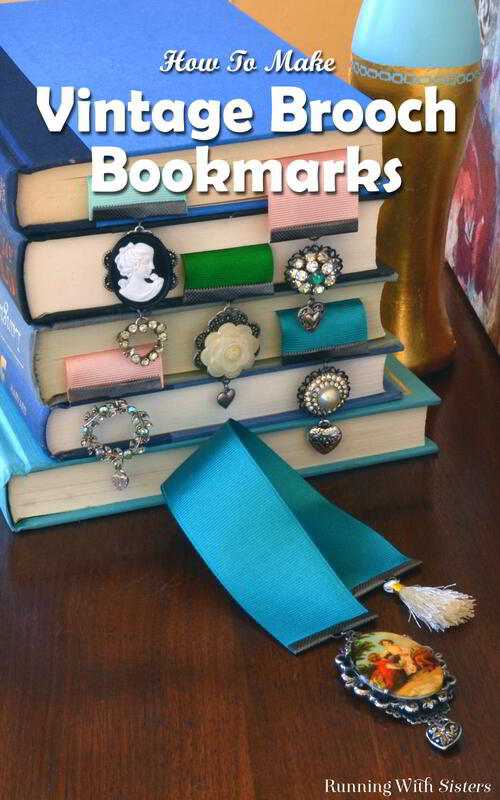 Please share our Rhinestone Brooch Bookmarks!